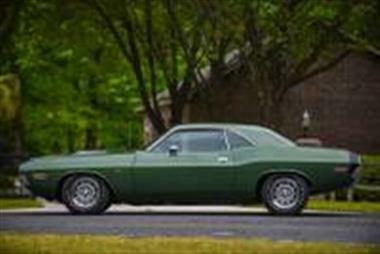 1970 Dodge Challenger in Fayetteville, NC for sale. 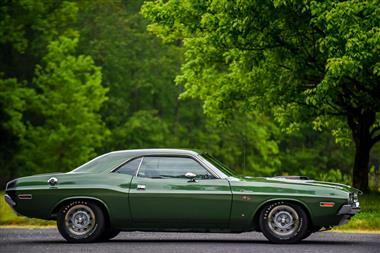 1970 Dodge Hemi Challenger R/T . One of one ever built.</p><p>Current owner bought in 1979 from original owner</p><p>2016 PINEHURST Concourse D Elegance class 7, America Performance WINNER!!!! !</p><p>Brief History</p><p>We bought the car from Robert Ross, a soldier from Jacksonville Fl that was stationed at Fort Bragg NC in the early seventies.Robert bought the car new before being shipped out to fight for our country in Vietnamand was the original owner until we bought the car from him in 1979.at the time we boughtthe car from Robert it was showing 30,609 original miles on the odometer and had an expired 1973 inspection sticker on the windshield. It had not been driven since 1973. Robert had left the car at a friendandrsquo;s house and returned to his native home in Florida after his time in the army. 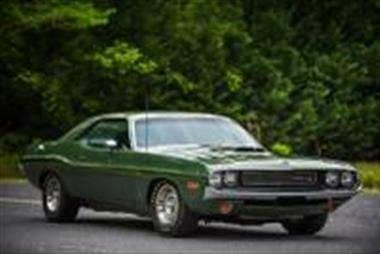 We saw the car sitting under his friendandrsquo;s garage and bought our Hemi Challenger complete but not running in 1979. We stored car for about 3 years until we could get the original lien release and the original title from Robert. Then save enough money to afford to get it running again.</p><p> We have had the car for 37 years and drove the car sparingly and logging another 3500 miles on the car over 37 years. Our Hemi Challenger now has 33,955 ACTUAL miles on the odometer.</p><p> A few years ago we decided to have a frame off nut and bolt restoration and/or refresh, Using all the original parts on the the car it was disassembled cleaned and reassembled to factory showroom new condition Completed 4 years ago . 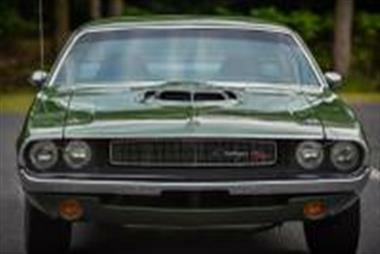 Only 11 miles have been added to the odometer since restoration.</p><p>The Hemi Challenger has never had any body damage and is at least 90% original including all the sheet metal which is laser straight. 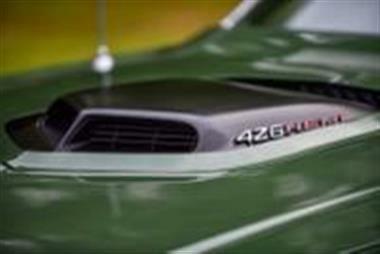 Even the Rare Shaker Hood is original to the car. 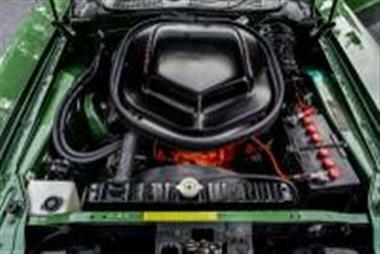 The Engine is the correct date code unstamped factory warranty replacement block and all the drive train including the automatic transmission and rear axle is numbers matching original to the car. The original dash(which is in perfect shape) console, shifter, steering wheel, door panels, glass, grill, taillights trim,shaker, ETC are original to the car and have been cleaned or refreshed but do show some of the very normal light unrestored wear of an 33,000 mile original Hemi car.</p><p>Our Hemi Challenger R/T has been in the family for 37 years . Included with the car is a copy of the original Florida owners 1973 lien release, original NC title, three different original build sheets, one from the back seat, one from the rear of the front seat and the electrical build sheet that was taped to the rear of the glovebox. Both original unrestored fender tags. (we decided not to sand blast or repaint the fender tags because they are in great shape and still retain the factory EF8 green paint) also the original door VIN sticker, complete Chrysler Registry Report, Hamtramck historical Registry letter, several over the years NC inspection paperwork with documented mileage, NC registrations while we had tags on the car. A very rare near perfect 1970 Dodge Dealer parts department replacement parts Catalog an even rarer 1969 Dodge Dealer Showroom 33 1/3 record INTRODUCING THE ALL NEW 1970 CHALLENGER Dodge sales promotion and complete fender tag/build sheet break down report.</p><p>Galen Govier (Chrysler registry) has done a complete report on the car and states in the report that our 1970 Hemi Challenger R/T is one of one ever built in this color and with these options. 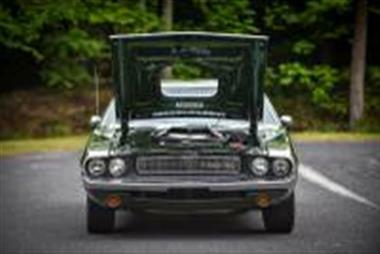 Our Hemi car is also the only know example of a 70 Hemi Challenger with a rare shaker hood and deluxe hounds tooth interior. Some other options are super track pack Dana 60 rear axle with 4.10 gears, sure grip , power disc brakes, deluxe interior, am/8 track radio, rear adjustable speakers, tape side stripe delete with optional painted bumble bee rear strip. 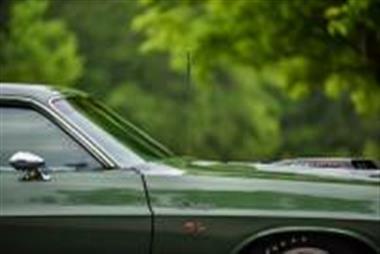 The Hemi Challenger starts,runs and drives as new!!! This is NOT a resurrected junkyard car, barn find, or found behind some ones house restored rust bucket.